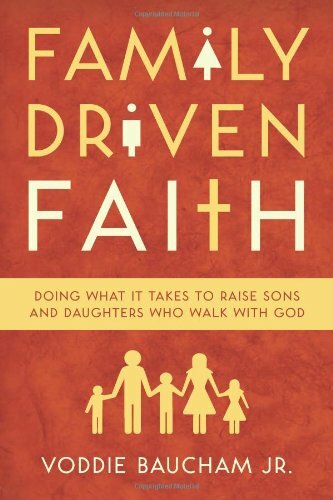 Back in 2011, Dr. Voddie Baucham published a book entitled Family Driven Faith: Doing What It Takes to Raise Sons and Daughters Who Walk with God. I'm going to raise a few concerns about that book in this article. You might ask me, "Why are you writing about a book that was written five years ago?" Here's why. I appreciate a lot of things about the family ministry movement and our focus on family discipleship. I honestly think Dr. Baucham's teaching in this area has been valuable in many ways for the church. 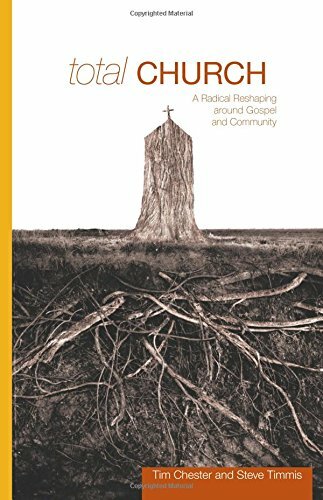 But I think there is a subtle danger in American evangelicalism, and it's highlighted in Dr. Baucham's title. To put it simply, I would suggest that the next generation does not need a family-driven faith. It needs a faith-driven family. We should never reverse the order. Here are a few ways I believe that family ministry leaders are tempted to do so. 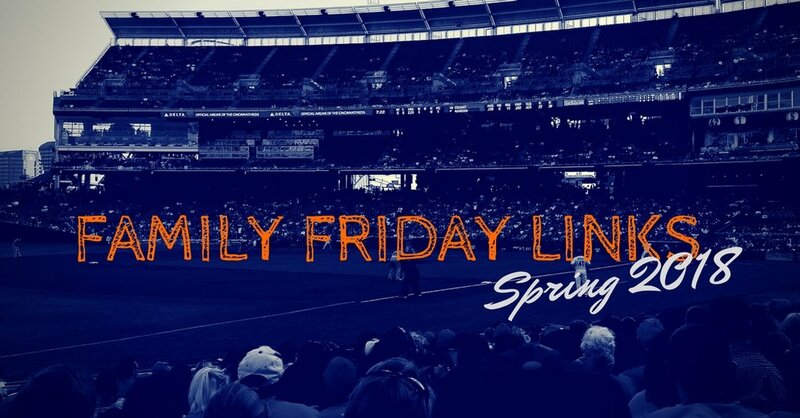 (1) We’re tempted to teach parents about family discipleship without first teaching them to love Jesus. The family ministry movement highlights the importance of repenting from parenting idols, loving our kids with a sacrificial love, teaching a biblical worldview, valuing family time, and practicing formative and corrective discipline. I agree that each of these ideals is commanded in the Scriptures. They are important ways in which Christian parents show love and give a Christian witness to their children. But more important than any of these practices is knowing and loving Jesus. The Pharisees had a biblical understanding of manhood and womanhood and marriage. They catechized their kids, and they practiced biblical parenting principles. But they didn’t recognize Christ. Jesus said this to the Pharisees: “You study the Scriptures diligently because you think that in them you have eternal life. These are the very Scriptures that testify about me” (John 5:39). When we are strategizing ways to equip parents as the primary disciple-makers in their homes, we must also help them prioritize their own spiritual growth. We should think about slimming down our church programming in order to help families keep the Sabbath. We should think of ways to give burned-out mom's times to study the Bible together away from their children. We must take pains that family discipleship is not another burdensome duty but rather fruit that overflows from the hearts of parents who know and love Jesus. The problem is not that these children are leaving Christianity. The problem is that most of them, by their own admission, are not Christian! Hence their leaving makes complete sense… Thousands, if not millions, of people have been manipulated into ‘repeat after me’ prayers and ‘if you ever want to see that dearly departed loved one again…’ altar calls without a trace of the Spirit’s regenerating power (12). I agree with Baucham that manipulative preaching has been a contributing factor to the number of children who have left evangelicalism. But Baucham's statement concerns me if he implies that getting our practice of evangelism right will automatically result in a better retention rate for the church. Christian parents should be expectant about their kids’ future. After all, our children are raised in homes where they hear gospel taught (1 Corinthians 7:14). But there is no magic formula for getting our kids saved. Honestly, I don't think Baucham believes there is, but family ministry leaders must be careful when teaching about family discipleship, because it's easy to give this impression. Parents can leave a class on leading family worship feeling empowered to win their kids to Christ. But if Johnny begins to struggle with strong doubts, that same parent may be paralyzed by shame. Family ministry leaders must make clear that our responsibility is to faithfully teach the good news to our kids and then leave the results to the Lord. Salvation is his work. Ministers should remind parents that there will be times their kids rebel even if they practice family devotions and use the rod. Remember, our perfect Father has prodigal children. What right do we have to expect our children will be different? Greater honesty about this fact will help to release faithful parents from unnecessary guilt and help them to build home environments where older kids who leave the faith temporarily will be welcomed back into the fold. “While I believe the vast majority of those who shepherd segregated congregations are well meaning and would never presume to replace parents in their biblical role, I believe the modern American practice of systematic age segregation goes beyond the biblical mandate” (178). “Our church has no youth ministers, children's ministers, or nursery. We do not divide families into component parts. We do not separate the mature women from the young teenage girls who need their guidance. We do not separate the toddler from his parents during worship. In fact, we don't even do it in Bible study. We see the church as a family of families” (191). But Baucham argues there is no clear biblical mandate for the current age-segregated approach. That may be true, but it's hard to find biblical mandate for family-integrated public gatherings as well. I am aware of passages in the epistles that address children directly (e.g. Ephesians 6:1-3) implying that kids were present in the public gatherings where the letters were read aloud. But this does not mean families sat together. In first-century synagogues, after all, men and women sat in separate sections. Continuing this practice in Christian churches was just as culturally accommodating as children's ministries are today. The Total Church authors point to clear and present danger for family ministries. Promoting our family discipleship hobby-horse can at times eclipse the priority of the Great Commission. Our family ministry idea can at times set up social barriers to the gospel. We must never knowingly do this (Galatians 3:11ff). I agree with Baucham that homeschooling and private Christian education often has its advantages. But making such sweeping statements is dangerous. Our convictions about education or ministry programs should not be held so tightly that they keep us from sitting at the same table and celebrating the gospel with another family whose background, context, and conscience have led them to different conclusions. The new tribe of Christianity creates its own culture and actively engages the cultures of this world. The gospel leads the Christian to contextualize his message (1 Corinthians 9:19-23) and avoid the extremes of both culture war and full-scale cultural accommodation. Christ commands us to accept those who have different convictions from our own without quarreling (Romans 14:1-15:1). He clearly commands us, “Each of us should please our neighbors for their good, to build them up” (Romans 15:2). These critique's of Baucham's book have been raised before. As I said above, the book is a half decade old. I'm highlighting them again today, because I've recently witnessed friends and leaders on social media advocate for sweeping changes in their communities or the church at large in the name of a family ministry ideal. My deep concern is that we do not sacrifice mission for the sake of these convictions. May the Lord protect us from these temptations. May he fill his church with faith-driven families who are formed by the gospel to be patient through suffering. May he fill his church with families who are fueled by faith to be on mission to the lost families around us. To which of these three temptations are you most susceptible?